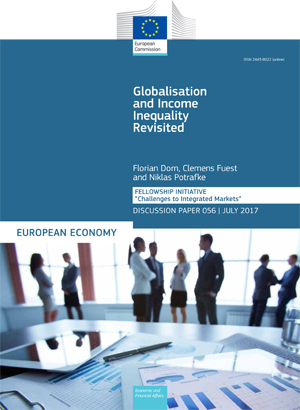 An empirical look at the relationship between globalisation and income inequality. Discussion Paper 056. July 2017. Brussels. PDF. 48pp. Tab. Graph. Bibliogr. Free. JEL classification: D31, D63, F02, F60, C26, H11, H20.